If you can put a logo on it we can do it! Popular uses for promo items include business gifts, orientation programs, corporate events, incentives (for work, safety programs, and purchasing) and trade shows. This is just a small sampling of the advertising specialties that we can get. If you don't see it here, please ask! Check out our Promo Products Catalog or our Clothing & Accessories Catalog for ideas on your next promo campaign. Expect Fast Turnarounds and Rush Services to meet your needs. We provide quality products & service on time and on budget. Put your next promotion on the fast track with our advice and years of experience. Business cards introduce your company and its products. Your promotional products also function more or less in the same way but with better results. When distributing your promo items you are introducing your business to the potential customers. While a business card is filed away one recieved, promo items are kept close and used regularly giving you greater exposure. 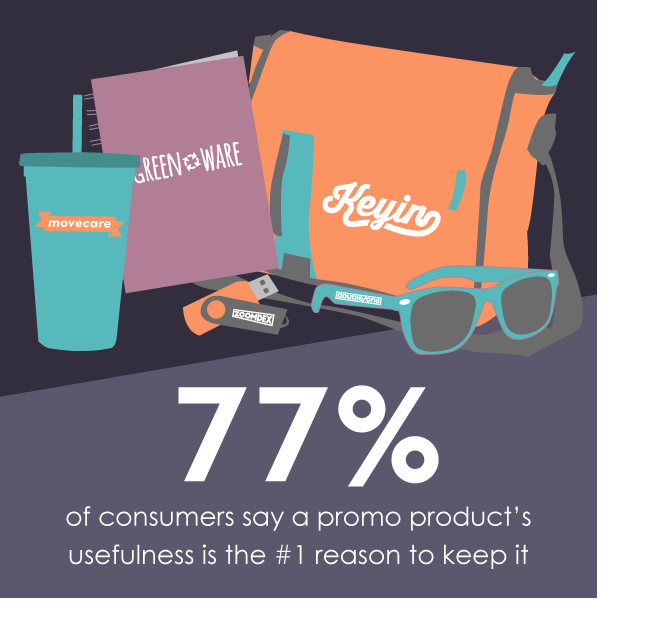 Eight in 10 consumers own between 1 and 10 promotional products. 53% of people use a promotional product at least once a week. After receiving a promotional product, 85% of people did business with the advertiser. 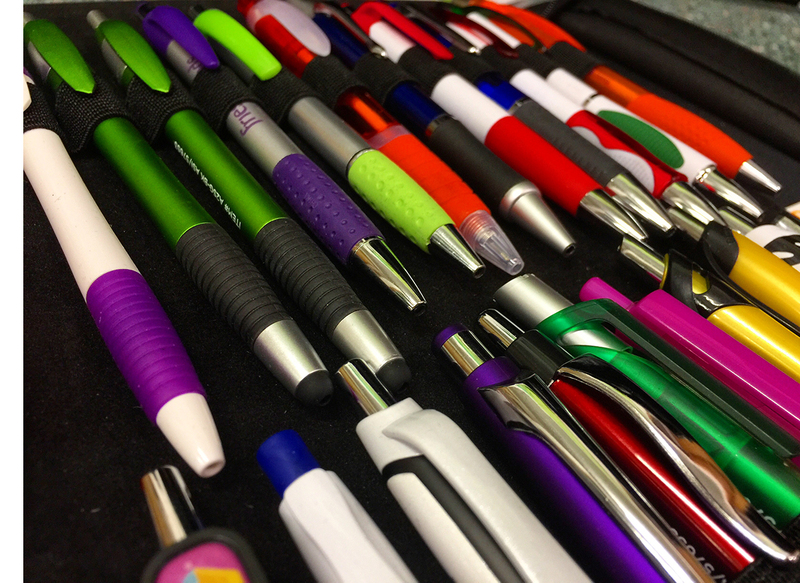 Writing instruments have the lowest cost per impression of any promotional product in the U.S. Promotional products create a more favorable impression of the advertiser. Have questions? Need a Quote? We are here to help!